Jodaiko will present “Onkochishin,” its 20th anniversary concert, on Saturday, April 7, at the David Henry Hwang Theater, 120 Judge John Aiso St. in Little Tokyo. Two shows, one at 2 p.m. and the other at 7 p.m., will showcase three new songs plus two remixed songs that will be performed for the first time. Taiko has been a cultural presence in the U.S. and especially California since the late 1960s. 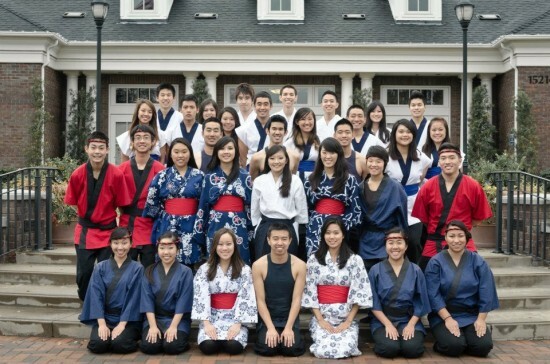 Most taiko groups in the U.S. practice kumi-daiko or “group drumming.” Jodaiko is committed to both respecting and continuing traditions of kumi-daiko with a spirit of passion and dedication, while at the same time embracing the innovation and musical exploration that comes with being a collegiate group in North America. Pre-sale tickets are $10 and at-the-door tickets are $12. To order in advance, email [email protected], specifying how many tickets you would like and for which show. For more information, visit Jodaiko on Facebook or go to www.jodaiko.com. If for some reason your email bounces back, I PROMISE the inbox isn’t full! Please keep sending your email until it gets through.